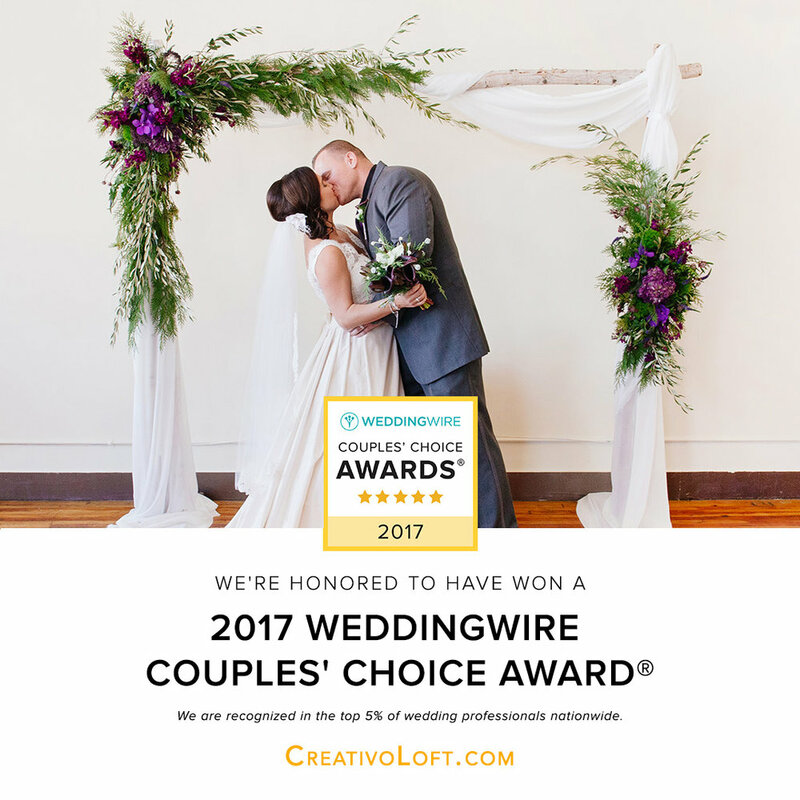 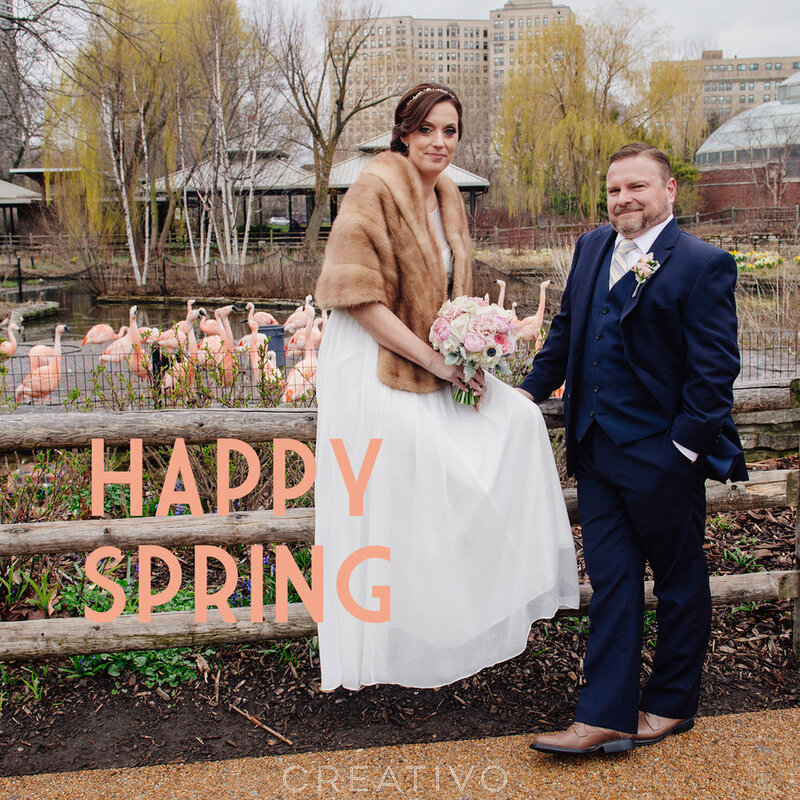 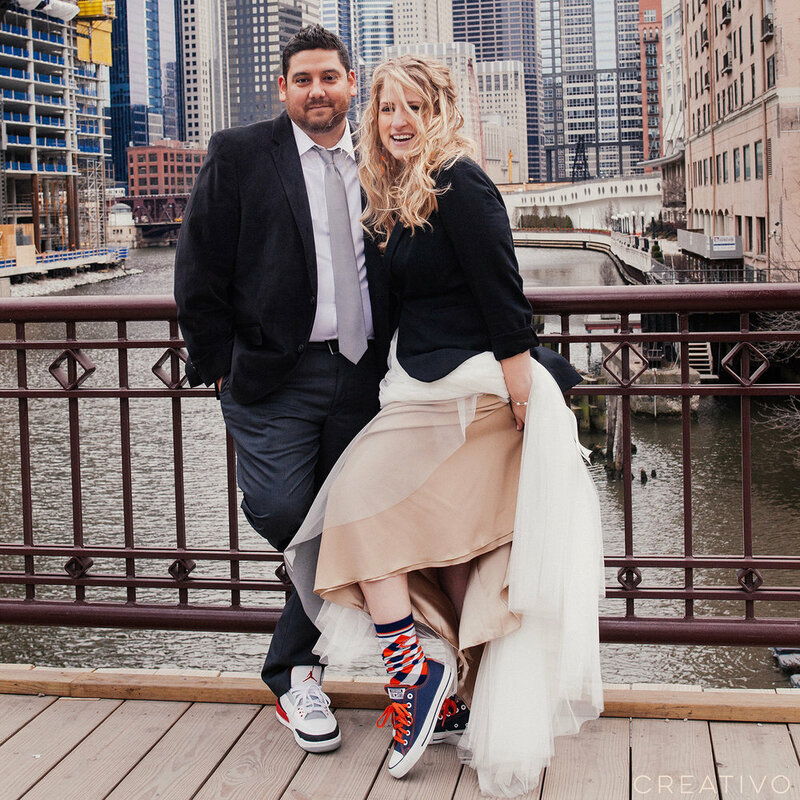 You would not know by their cheerful smiles, but Holly and Bill were brave souls on the chilly but sunny April day for their Chicago elopement. 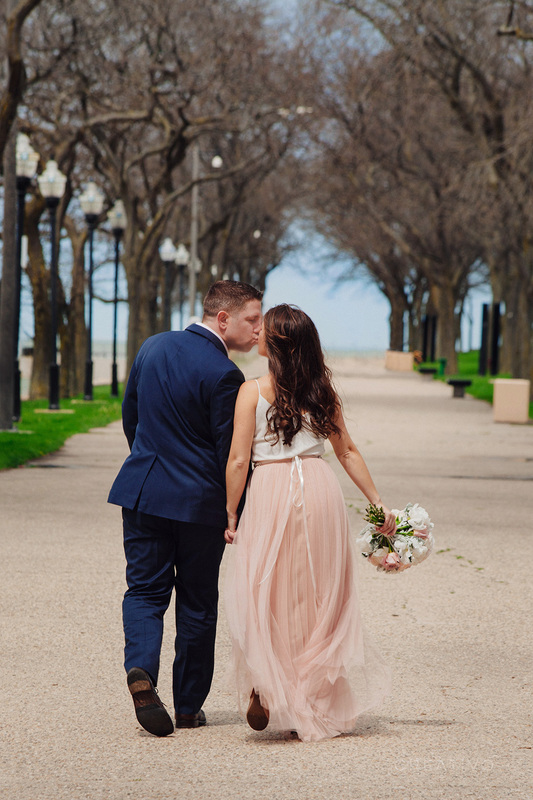 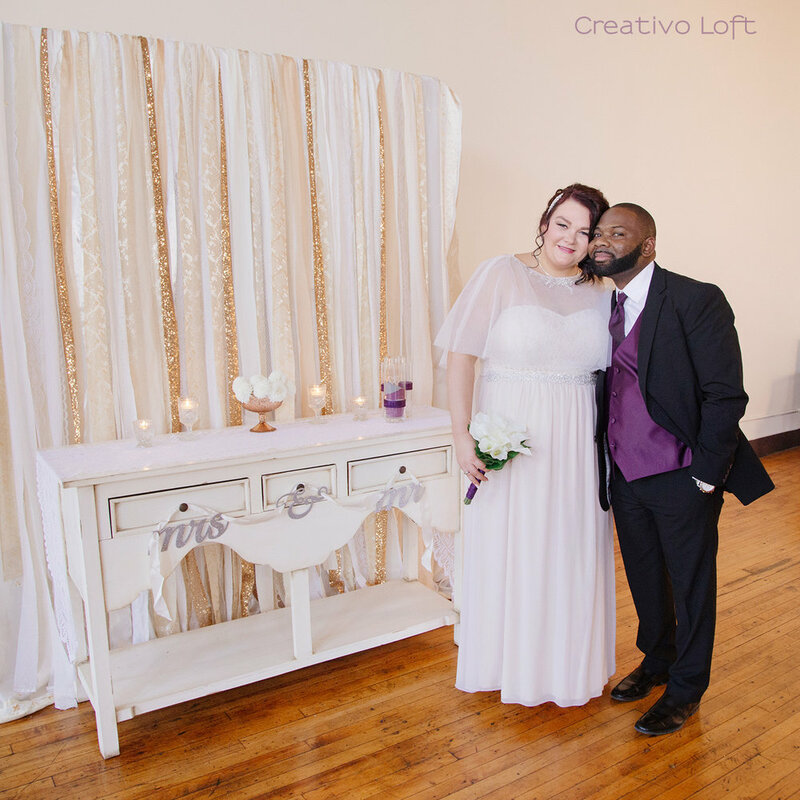 The couple were sporting fashion forward styles, with the bride's chic and romantic blush pink skirt and camisole blouse and the groom's on-trend navy blue suit. 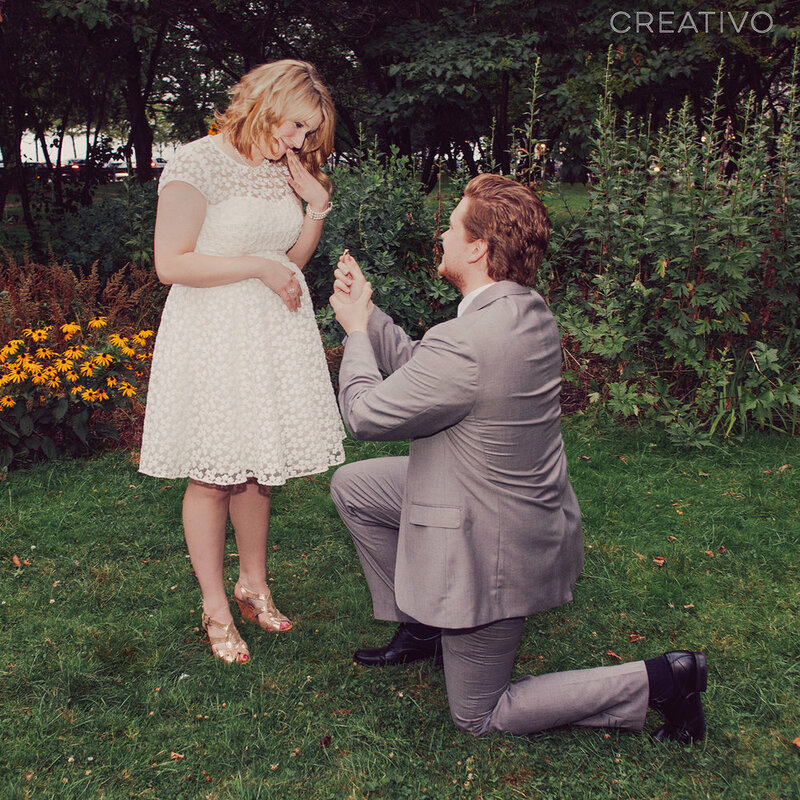 April blossoms bloom and fall in a fleeting amount of time every spring. 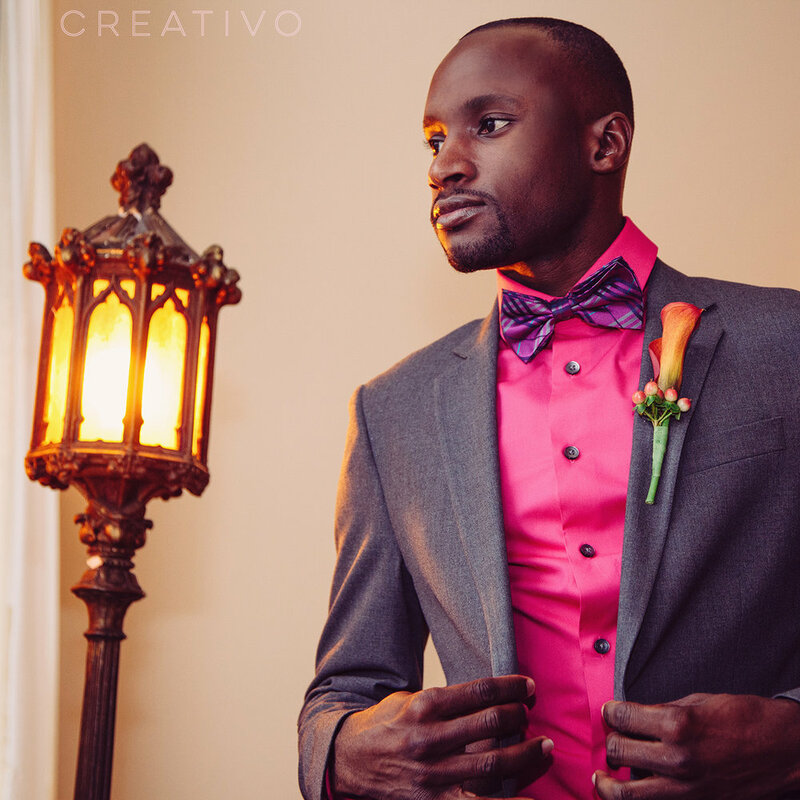 The pastel flowers were the perfect match. 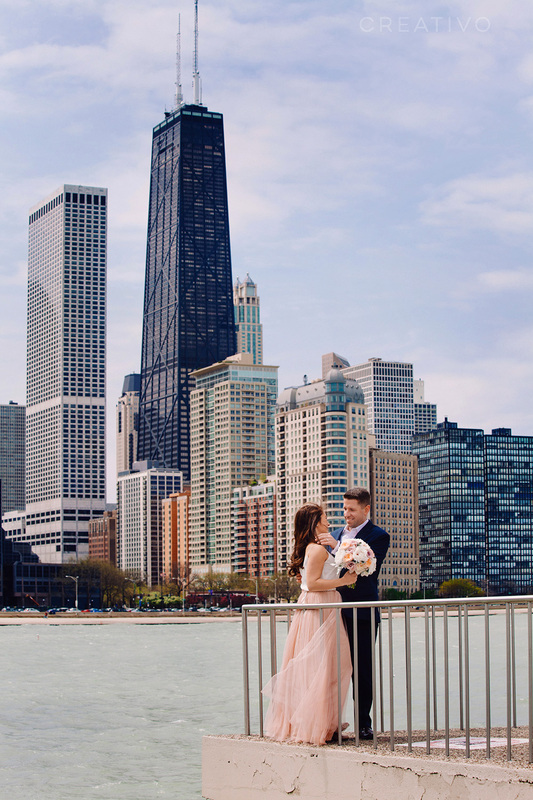 The cherry blossom trees flower during a brief window each spring, so it is a special opportunity for couples brave enough to withstand goosebumps and chilly winds since Chicago April tends to be reluctant when it comes to transitioning from winter to spring. 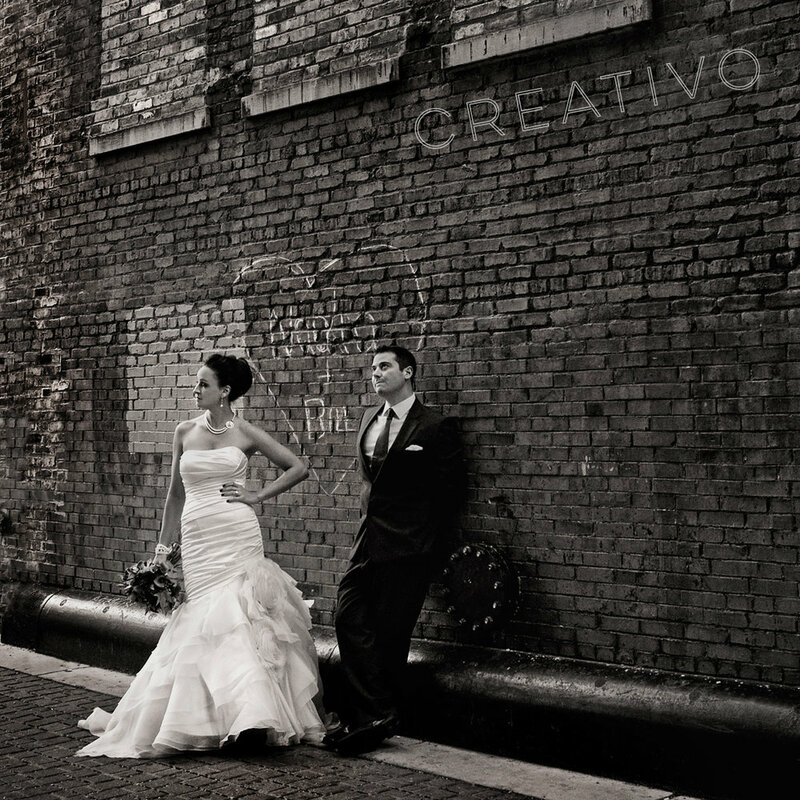 © Wedding Creativo.